Yeh Rishta Kya Kehlata Hai: Raavan’s entry raises curiosity… The people find the event’s management faulty when the power cuts down suddenly. Naira goes to fix the fuse, but Akhilesh gets mistaken. Naira does a mistake and fuse gets blown. Naira tells him that someone else has done this, but she has come to just rectify the fault. Naira apologizes to them. They don’t believe that someone came inside the house’s interiors. Akhilesh asks Naira not to have hallucinations. He also reminds her what the doctor told her. This almost shocks everyone. Kartik and Naksh get upset when Akhilesh hurts her bitterly. Kartik makes Akhilesh apologize to Naira. He criticizes Akhilesh for hurting Naira this way if he is hurt. He asks Akhilesh why didn’t he have concern for Naira. He feels bad that Akhilesh is dividing the relations as well. Dadi tells them that they have done a mistake to come without invitation. She tells Manish that they shouldn’t have come. On the other hand, the hidden person gets happy watching them argue. Furthermore, Dadi reprimands Akhilesh for defaming them. Naira restores the power. 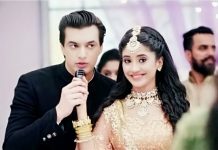 Kartik and Naira continue the party and try to keep the Goenkas’ respect. Akhilesh’s brother gets miffed. He tries to create differences between Akhilesh and Manish. He gets enough of Akhilesh and Manish’s cordial terms. He wants to break their bond forever. Naira tells Kartik that she isn’t upset by Akhilesh’s words, since she knows he is clean-hearted. She tells him that they have love in between. She alerts Kartik about someone’s presence. She tells him that there was really someone in the party who has cut down the power. Goenka family member eyes them badly and wants to burn their family unity to take revenge. He believes he is the Raavan in Goenka family. In contrast, Kartik and Naira wants to find out the hidden person who is making Akhilesh and Manish distant. Akhilesh gets emotional when the children make a family drawing in Rangoli. Everyone puts efforts to melt Akhilesh’s heart. Naira takes Akhilesh’s blessings. Akhilesh stays bitter towards Manish. 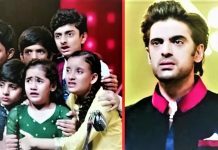 He divides the family Rangoli as well and hurts Manish’s heart once again. Manish asks Akhilesh to vent out anger, but not hurt his heart this way. Likewise, he wants the division to end. Akhilesh behaves badly with Manish again. Manish breaks down. Moreover, he wishes Akhilesh to stop hurting Dadi’s heart. Meanwhile, Dadi can’t see her sons getting apart. Kirti gets stressed over gaining weight in pregnancy. Naksh pampers her and wants her to be happy. Naksh asks Devyaani to take care of Kirti and coming child. Kirti misunderstands Naksh’s gesture. Akhilesh gets an expensive car gifted by his brother. He gets too happy. Surprisingly, Kartik and Naira learn about the person and wonder whom is Akhilesh referring to as brother. 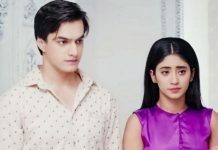 Kartik tells Naira that he doesn’t have any other uncle. Because of annoyance in the family, Akhilesh wants to avoid everyone. Akhilesh and Surekha go for a long drive in their new car. 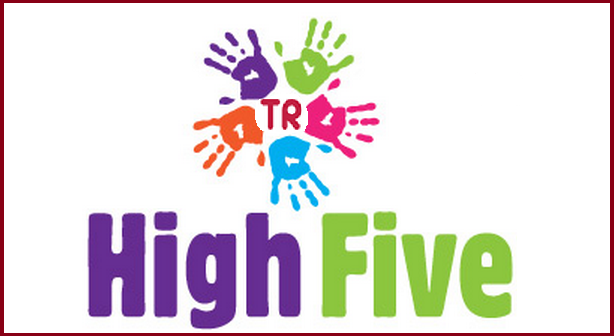 Akhilesh’s mood turns better with the gift. Suwarna and Manish feel money is the reason for the house partition. Dadi wants them to stay strong being united. She doesn’t want someone to use their separation. Manish tells them that brothers can’t get separated. On hearing this, Kartik and Naira ask Manish about his another brother. They question Dadi about her other son. This question hurts Dadi. Manish tells them that Akhilesh doesn’t have any other brother. At another instance, Kartik tells Suwarna that Akhilesh is influenced by someone, whom he refers to as brother. Naira also adds that someone gifted an expensive car to Akhilesh. Dadi and Manish receive a big shock when they face a part of the family member from their past. Kartik and Naira want to face the Raavan and protect their family as Goenkas’ Ram and Sita.